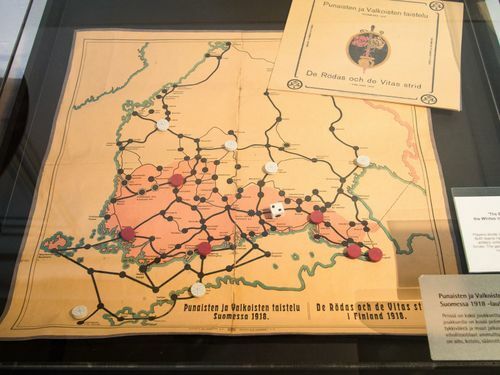 image: Boardgamegeek.com, showing a copy in a display case in a museum in Tampere. The first board game on the War, this was apparently produced for the Christmas market, only seven months after the end of the war. It is a simple roll-and-move game with red and white pieces occupying different towns. Point-movement map, 14 wooden pieces, abstract scale. 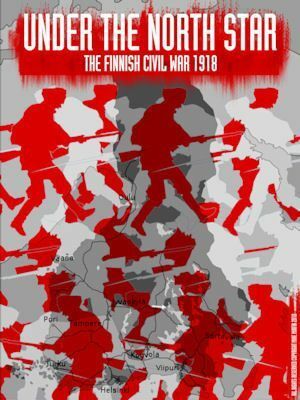 I put my game Finnish Civil War up for free download at the end of 2009, making it the first “standard wargame” treatment of the conflict. It was available for free download until 2012 – I think maybe four people might have taken advantage of the offer – when I was offered a spot in Paper Wars magazine for the game, and was asked to take it down. I thought it was going to come out more promptly than it did, but it did come out at the beginning of 2017, with a very nice presentation and a few changes from the earlier version. 270 counters, hex map, company to brigade scale (two versions to play). The Paper Wars version has a historical article in it by me on the War, but for some reason they printed only the first half of it – you can get the whole article at the link below. Finnish Civil War (Paper Wars #84) has arrived. Designed by Dennis Bishop and published by White Dog Games. A rather standard look at the military aspect of the war. 160 counters, hex map, battalion to regiment scale. 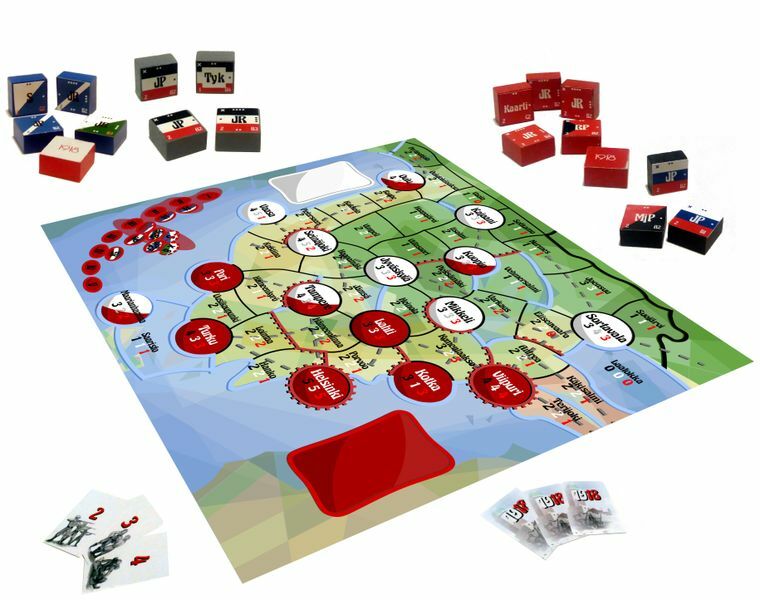 Card-driven, point-movement game on the War by Antti Lehmusjarvi, published by Linden Lake Games via Kickstarter. I did find a photo of a prototype of Antti’s game that was played at “Warcon 2013”, a game convention in Tampere. About 200 counters, 55 cards, point movement map, company-battalion scale. This is a COIN system game designed by the brilliant VPJ “Vesa” Arponen, who remade the ‘bots for A Distant Plain and designed the ‘bot for Colonial Twilight. Man’s a genius and he has made the COIN system work for three players. Has done very well on P500. About 90 wooden pieces, 47 event cards, a card-driven (!) solo system of 36 cards, point movement map, scale abstract. The German player must execute an effective attack to defeat Reds and avoid too high casualties especially in the fights on the streets of the centre. The Red player focus to keep their morale high and recruit new fighting groups to the Red Guards while Whites player must wait the right timing to deploy hidden troops in the streets of Helsinki. 80 counters, 40 cards, hex map. Not really a wargame as such, I did find mention of this on the net, as being on offer at the gift shop of the Lenin Museum in Tampere. This is the only museum dedicated to Lenin outside the former Soviet Union: elsewhere on their site you can buy things like busts of Lenin, and fridge magnets of Urho Kekkonen and Leonid Brezhnev. 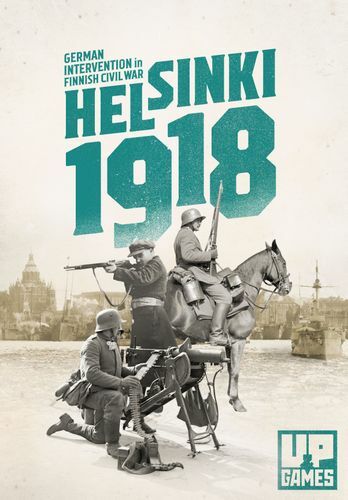 Thrilling new game Finland 1918 is a card game about the start of the Finnish state, the civil war and the events that led to it. 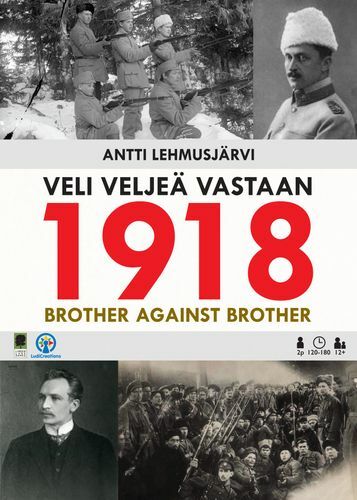 The game describes the birth of the Finnish state and possible social models: what if history had been different? This one was new to me, I found mention of it in a Geeklist recently created by someone on Finnish Civil War games. It combines the hidden-information and bucket-of-dice mechanics of the Columbia Games block system (wooden blocks, rotated to show diminishing strength) with some interesting logistical/operational aspects via cubes (representing munitions, weapons, terror) and cards with Action Points. Self-published by Kalle Matsinen, don’t know if it will find a larger audience but this is an interesting first effort. 118 blocks, 86 cubes, 18 cards, area movement map. Ineffective: Taliban Terror in Kabul requires Activation of 2 Underground Guerrillas. Effective: Taliban Terror in Kabul costs 0 Resources and does not Activate the Guerrilla.